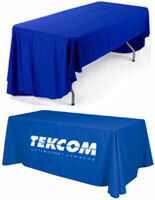 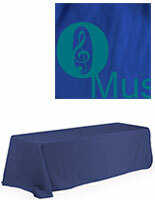 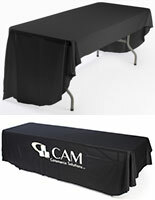 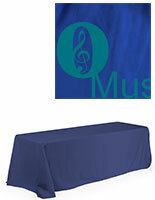 These 8' blue tablecloths with 1-color printing are great for promotion of a company logo or branding information. 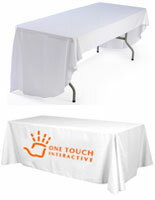 The linens are made from durable polyester frabic is both machine washable and flame retardant, making them great for travel to events like trade shows and expositions. 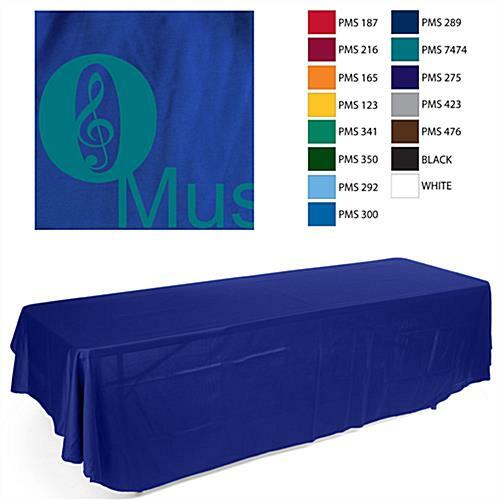 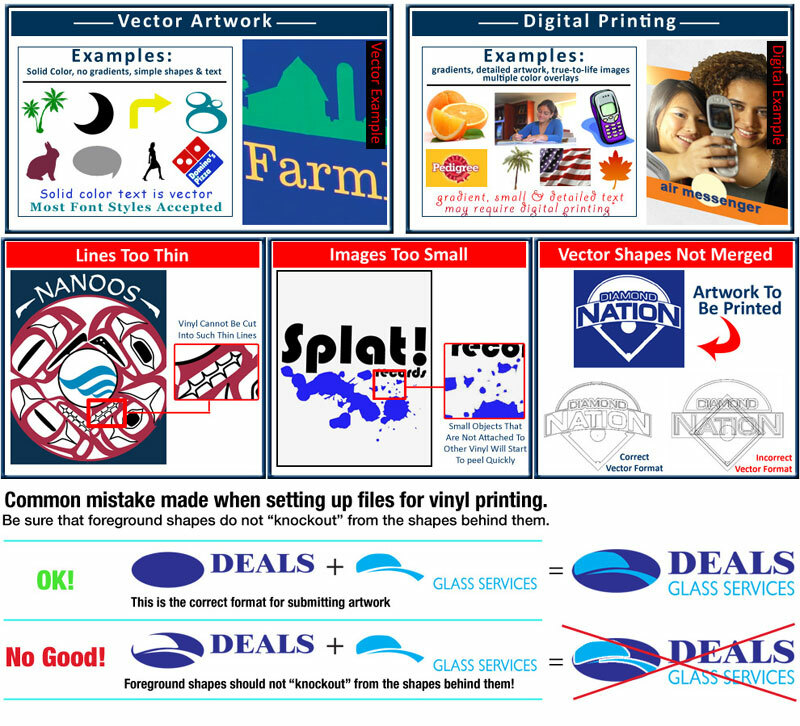 The blue tablecloths with 1-color printing feature a 40" x 16" area for personalized imprinting, meaning promotional messaging will be easy to see. 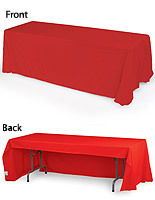 With the throws' 3-sided design, their open back makes room for chairs and supplies. 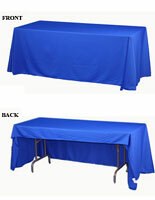 The polyester fabric blue tablecloths are also available in red, black and white for matching different graphics. 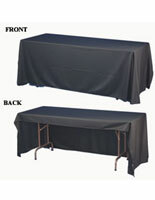 With a cool iron, wrinkles can easily be removed from the linens with front imprinting.